My friend’s mom (Mama G!) whips up these tasty Portobello Pizzas in just 30 minutes, and they are so simple and flavorful. 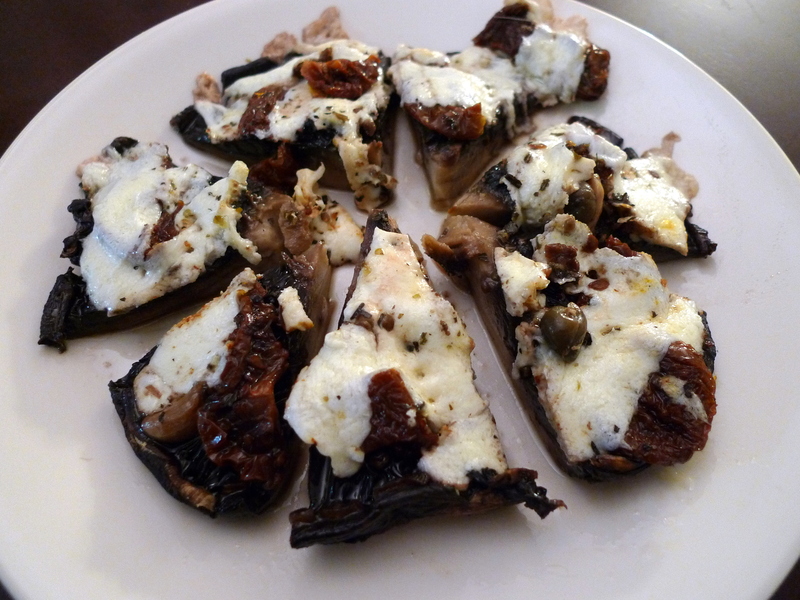 Plus, the no-carb vegetarian pizza idea is quite ideal for those looking for a healthy appetizer or snack. I didn’t list the actual ingredient measurements as they will vary based on the size of mushroom cap, but feel free to get creative with toppings! I’ve tried caramelized shallots and fresh tomatoes but my favorite combination is sundried tomatoes with basil and mozzarella. Preheat the oven to 400°F. Remove the stems from the mushrooms and wash the caps thoroughly. Pat with paper towels and let them sit for 10-15 minutes to let the caps dry out (otherwise when you bake, there will be too much liquid and make them soggy). Then on a prepared baking sheet, drizzle a little bit of olive oil to grease the pan. Place the caps top down and season with a dash of salt and freshly ground black pepper. 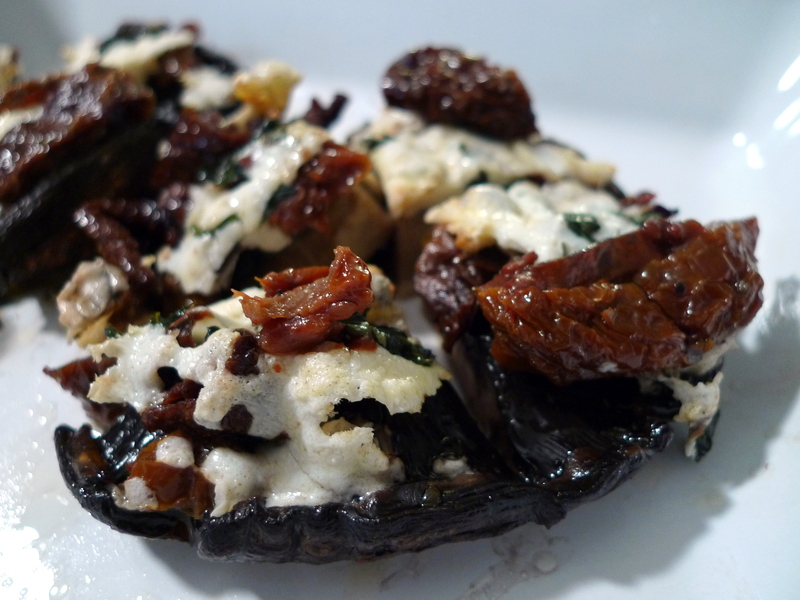 Roughly chop the sundried tomatoes and fresh basil leaves and arrange on each mushroom cap. Cover with mozzarella cheese and then drizzle a little olive oil on top. I used the infused oil from the sundried tomatoes jar. Bake the pizzas for 15-20 minutes, or until the cheese is completely melted and the mushrooms are tender. Cut into pizza slices and enjoy! I read this before breakfast. I’ll be shopping today! mum, it’s seem easy to prepare and i like portobello mushroom, i didn;t know you could make a pizza out of it. i will try it soon.